Weddings can go wrong. There is no coverage for blunders like when Ross said ‘…take thee, Rachel’. However, you can cover yourself for certain monetary issues. This is why you want to have to have wedding liability insurance. Wedding disasters have been a long standing comedy staple. Why? Because there’s so much at stake. So, when it goes wrong, the sh*t hits the fan! We’re going to tell you how much this insurance is, but first, let’s see what this insurance is really for. Problems like these are pretty much out of your control and they do happen. They are every bride’s worst nightmare. Without being able to turn back time, they are mostly unavoidable. There is one aspect that you can control. It’s the money, honey! What Is Wedding Liability Insurance Coverage? Here’s the deal: You want to know EXACTLY how much it will cover? First off, the average wedding in the USA costs just over $26K. That’s a lot of money to protect. And it’s protect-able. Event insurance for weddings protects your wedding costs from circumstances beyond your control. NOT-SO-FUNNIEST VIDEOS: If your wedding video is damaged, most policies will cover costs to create a video montage of still shots and such. BOTCH-TOGRAPHY: Your photographer might F-up. If photos are stolen, lost, damaged or he botches the shots, your policy might pay to re-stage the wedding. This would include travel costs, a new cake, flowers, etc. Travel costs for family members may also be included. Other policies will only pay a photography allowance. THE SH*T HIT THEIR FAN: One of your vendors may not show up or might go out of business. If this happens, your deposits are covered and might include the complete cost to reschedule, depending on your particular policy. ILLNESS: Let’s say you or a family member becomes seriously ill, dies suddenly or becomes injured, rescheduling costs will be covered. It will not cover a death or illness due to a preexisting condition. Extreme weather: If you or the members of your wedding party or the majority of guests cannot reach the wedding — or the venue is damaged due to severe weather, costs for rescheduling the event will be covered. THEFT: If your gifts are stolen, damaged, lost, etc, your policy may pay to repair or replace the items. Only non-monetary gifts are covered. ATTIRE: Wedding attire such as your gown or the tuxedo are lost, stolen or damaged, your policy will repair or replace them. This will also cover your attendant’s attire. 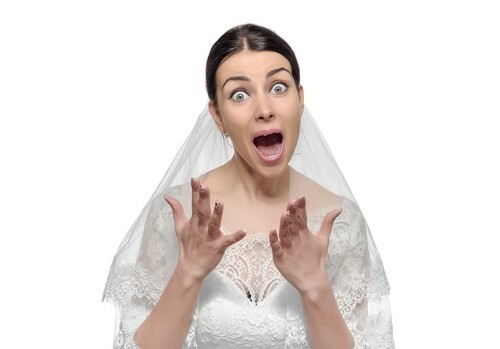 UNEXPECTED MILITARY TOUR: Military absence coverage offers protection if the bride or groom is in the military and gets called for a tour, causing them to miss the wedding. HONEYMOON: You can also get honeymoon insurance. This covers you if you have to cancel because of illness, weather or other qualifying circumstances. Ok, How Much Does Wedding Event Insurance Cost? That depends, of course. You can get a basic policy that will cover things such as loss of photos, rings, deposits, presents, and attire. This usually runs somewhere around $150-$550. It depends on the amount of coverage you want. Got a super dope rock? Vera Wang dress? You had better cover those ‘prizes’ if you want to ensure their safety! Get event insurance for your wedding. I’m Still Not Convinced. Do I Have to Get Wedding Event Insurance? Well, there is one reason not to that we can think of to not get insured. Many vendors have their OWN insurance. You should find out if they do, then read their policy to see where you may not be covered. There’s no need to pay for overlapping coverage! Also, if you are not spending much on your wedding, insurance may not be necessary for you. However, if you have a lot of dough on the line, getting insured is the way to go to protect your investment. Don’t be a victim of your own doing by NOT getting insured. This girl didn’t get insured and she lost her deposit. Now she’s regretting it pretty badly. So Wedding Liability Insurance Is Different? How Much Does Wedding Liability Insurance Cost? You can get general wedding liability insurance in addition to wedding event insurance. Liability insurance covers you if someone gets hurt while at the wedding or reception. This usually covers about $1,000,000 and runs about $185. It may even cover you in case someone drives drunk from the wedding and gets injured. Listen, you have a pretty crappy friend if they sue YOU for their own actions, but it has happened. We recommend getting covered ahead of time. (By the way, If your drunk friend sues you, we say dump that friend!) Some policies only cover for a certain period of time after the wedding, like maybe 2 hours. If that person gets in the accident two hours and ten minutes after the reception, you may be out of luck! Maybe offer shuttles or pay for an Uber if you see a super-staggering guest. Depending on where you hold the wedding, your homeowner’s policy MAY cover you. Check with your homeowner’s policy agent to make sure. Twenty crucial questions to ask before you say “I Do”. When Should I Purchase My Wedding Insurance Coverage? Most insurance companies have a limit as to how far out and how close to the event you can get wedding liability insurance. Some say a year out and 15 days before. Others vary. So you should get it before you put down your first deposit. The sooner the better! Surely Wedding Insurance Doesn’t Cover EVERYTHING. What’s Not Included? Well, you’d better not change your mind! There’s no coverage for your deposits in an event like that. There’s only one company that does, but you have to change your mind a full year out, or you’re not covered. 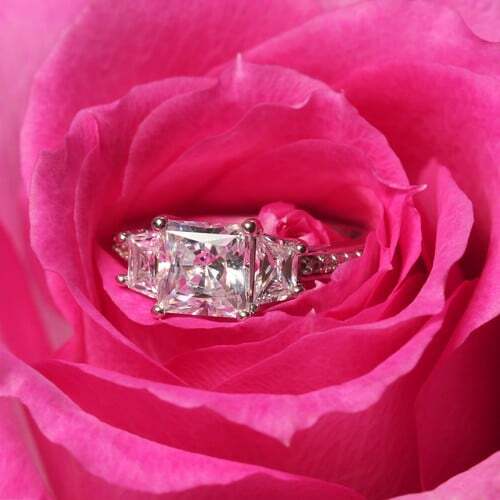 Certain jewelry, watches, and precious stones are usually not covered. Check with your policy holder to find out if there are exceptions and if anything else is not covered. What’s the bottom line? To get the right coverage for you, get your wedding liability insurance by visiting Hiscox and get a free special events insurance quote. Protect your big day! This poor girl wishes she had purchased wedding insurance. Don’t make the same mistake that she did!